The critics who have earlier seen the tragicomedy teen movie “Me and Earl and the Dying Girl” by acclaimed and Emmy nominee Alfonso Gomez-Rejon starring extremely talented trio Thomas Mann, Olivia Cooke and RJ Cyler have been vouching that the film has the potential to outperform last year’s “The Fault In Our Stars” – both of which are cancer-themed movie dealt with by young adults. “Me and Earl and the Dying Girl” is directed by Gomez-Rejon, who began his film career as a personal assistant to Martin Scorsese, Nora Ephron, Robert De Niro and Alejandro González Iñárritu and went on to direct the second unit for Ben Affleck’s Oscar Best Picture “Argo.” Gomez-Rejon brings his years of impressive experience and unique flair making “Me and Earl and the Dying Girl” making it the Winner of the Grand Jury Prize and the Audience Award at the 2015 Sundance Film Festival. Based on the thought-provoking and moving young adult novel by Jesse Andrews, “Me and Earl and the Dying Girl” is the uniquely funny, moving story of Greg (Thomas Mann), a high school senior who is trying to blend in anonymously, avoiding deeper relationships as a survival strategy for navigating the social minefield that is teenage life. He even describes his constant companion Earl (RJ Cyler), with whom he makes short film parodies of classic movies, as more of a 'co-worker’ than a best friend. But when Greg’s mom (Connie Britton) insists he spend time with Rachel (Olivia Cooke) – a girl in his class who has just been diagnosed with cancer - he slowly discovers how worthwhile the true bonds of friendship can be. Gomez-Rejon brings an impressive pedigree to the film who had directed episodes of hit series “Glee” and “American Horror Story” and the horror re-boot THE TOWN THAT DREADED SUNDOWN, says he wanted his next project to be something more personal. He found that in ME AND EARL AND THE DYING GIRL. 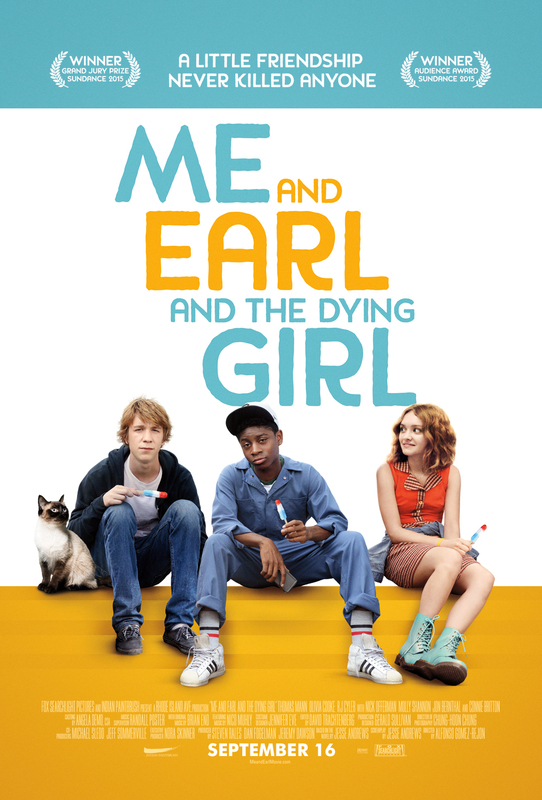 “Me and Earl and the Dying Girl” opens September 16 in cinemas nationwide from 20th Century Fox.